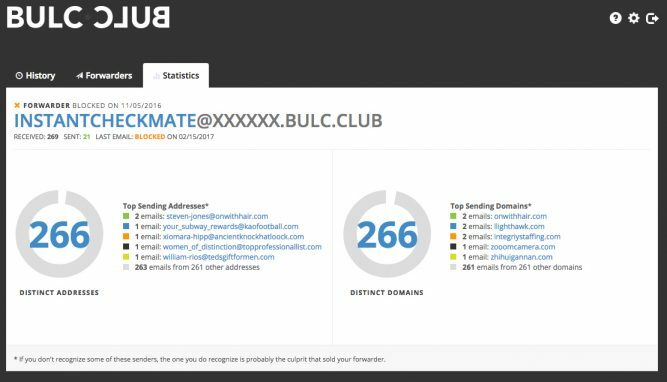 Figure 1: When providing a unique your email address to InstantCheckmate, you’ll receive hundreds of bulkmail messages from a variety of different email addresses and domains. With traditional spam-fighting services, you would have to individually select each message and mark the sender’s email address (or sender’s domain) as spam. 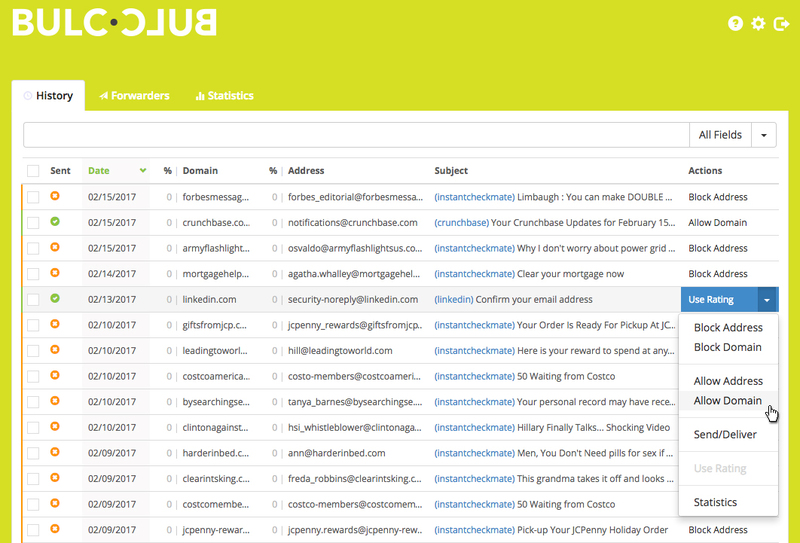 Because each sender is different, you’ll have to do this over and over again and probably never block them all. 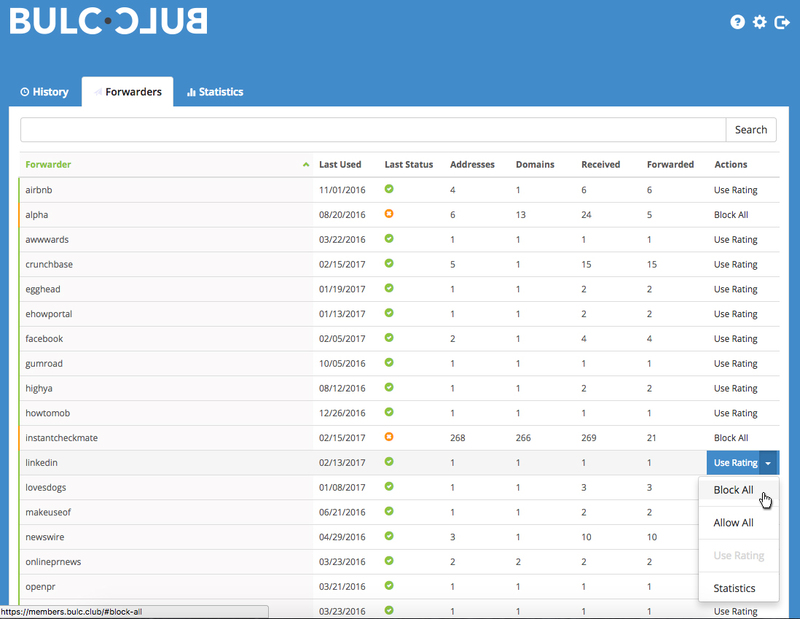 Bulc Club makes it easy to block all mail except messages from one specific mail server domain. 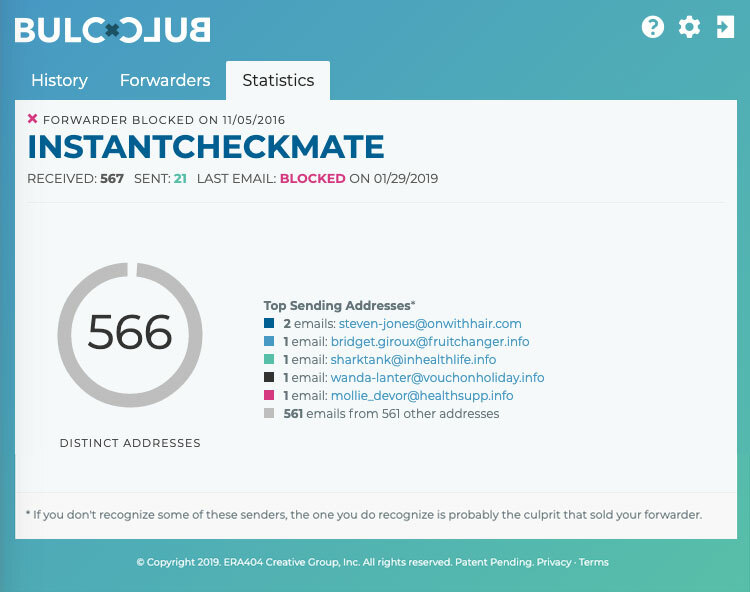 This means all mail from any email address except those ending with @InstantCheckmate.com will be blocked. And it’s all entirely free. We’ll use LinkedIn as an example, however you can do this with any online service or social network that requires you to provide an email address for your account. When subscribing to these services, use a Bulc Club forwarder instead of your personal email address. Read this article for more information on how to do this. Log-in to your Member Console. You’re done! Now the only messages you receive through this forwarder will be from one specific domain (in this example, @linkedin.com) and all other mail will be blocked!